Call it a fluke, or call it Samsung’s mistake. Consumer Reports is an American magazine and media outlet supported by its own subscribers to perform rigorous testing of all kinds of consumer products from cameras to cars. The Galaxy S7 active (as well as the other S7 models) is rated for up to 5 feet deep of water for up to 30 minutes. Consumer reports simulated this test with the Galaxy S7 and S7 edge, but also did the same test for the Galaxy S7 active. Consumer Reports uses a tank of water which is placed under 2.12 PSI (about 14.6 kPa) for 30 minutes to test Samsung’s claim. There were complications with the test performed on the Galaxy S7 active, as the phone was not able to survive the test without damage. The water breached into the device and was apparent by the fogging which can be seen in the front and rear camera lenses, as well as the screen, which was not working normally either. There was also water coming out of the SIM tray upon its removal. Naturally, Consumer Reports figured it could have been a defective device and decided to perform the same test again. The results for the second phone, surprisingly, were the same. Water also breached through the device’s exterior yet again. Samsung was contacted and the phone maker is investigating the possible causes now. But it could be a number of possible things. Consumer Reports said the test were performed exactly the same for the S7 and S7 edge both of which succeeded with no issues. While it’s not known who is to blame in the situation, let’s speculate. It had been several months since the Galaxy S7 and S7 edge were originally tested, perhaps the pressure gauge was not calibrated correctly prior to these new tests. Or perhaps the pressure was raised too suddenly for the phone to survive under those conditions. Well, Consumer Reports is likely not at fault though. Perhaps the water breached through the barometer found on the Galaxy S7 active (Neither the S7 nor S7 edge have this feature which would explain why they didn’t fail the same test). It could be that the instrument which measures atmospheric pressure was not thoroughly tested for water resistance. Or it could even be a really small chance that Consumer Reports tested two defective units. Because of this failure to pass the water test. 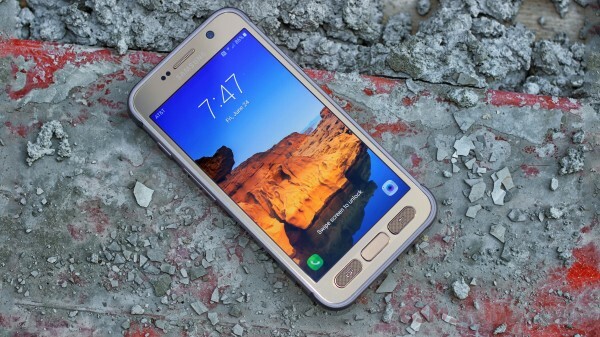 Consumer Reports has said that “with this failure, we cannot recommend the Galaxy S7 active.” Ouch.